From the award-winning author of Waiting and War Trash: an urgent, timely novel that follows an aspiring author, an outrageous book idea, and a lone journalist’s dogged quest for truth in the Internet age. New York, 2005. Chinese expatriate Feng Danlin is a fiercely principled reporter at a small news agency that produces a website read by the Chinese diaspora around the world. Danlin’s explosive exposés have made him legendary among readers—and feared by Communist officials. But his newest assignment may be his undoing: investigating his ex-wife, Yan Haili, an unscrupulous novelist who has willingly become a pawn of the Chinese government in order to realize her dreams of literary stardom. Haili’s scheme infuriates Danlin both morally and personally—he will do whatever it takes to expose her as a fraud. But in outing Haili, he is also provoking her powerful political allies, and he will need to draw on all of his journalistic cunning to emerge from this investigation with his career—and his life—still intact. 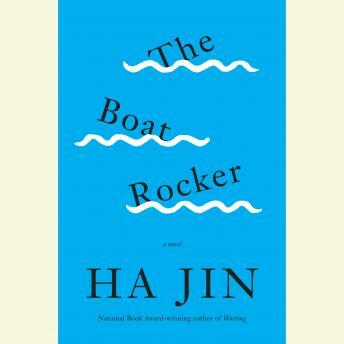 A brilliant, darkly funny story of corruption, integrity, and the power of the pen, The Boat Rocker is a tour de force of modern fiction.